Winter in the Marsh - The Chip's Challenge Wiki - The Chip's Challenge Database that anyone can edit! 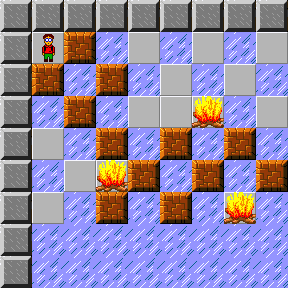 Winter in the Marsh is the 128th level in Chip's Challenge 2. It was created by Joshua Bone. 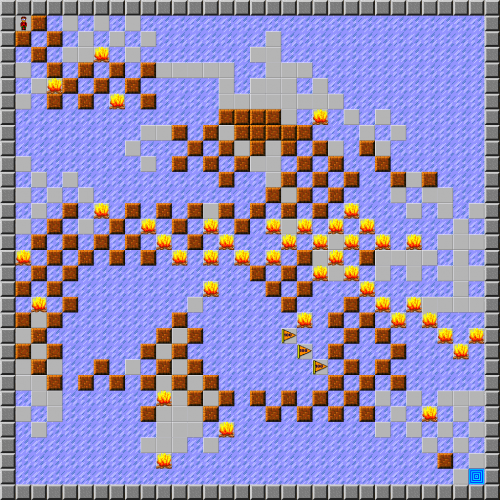 The design of this level the same as The Marsh from Chip's Challenge 1, except that all water tiles have been replaced with ice, the block at [20, 21] has been replaced with ice as well, and the addition of three bonus flags.